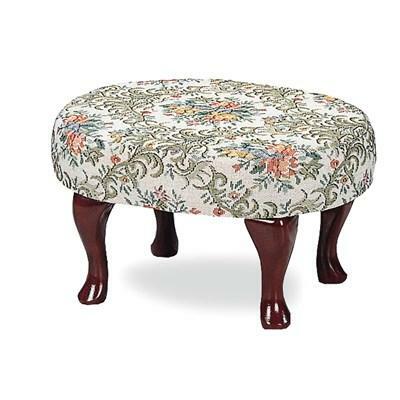 This Foot Stool created by Coaster Furniture is a traditional style ottoman which features brown-red cabriole shapely legs in cherry finish and its top is upholstered by floral and leaf patterns. 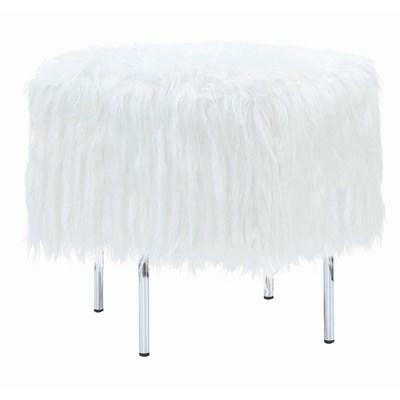 A nice addition to any traditional living room. 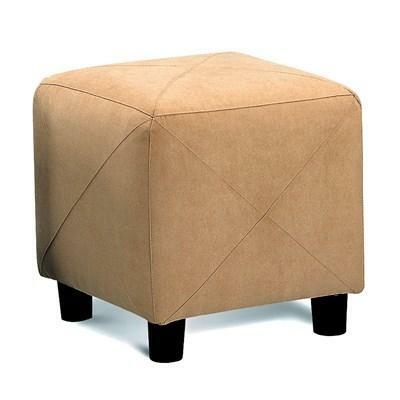 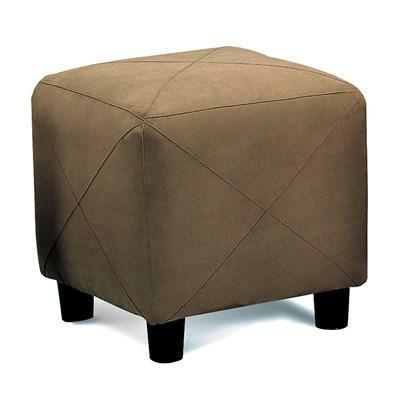 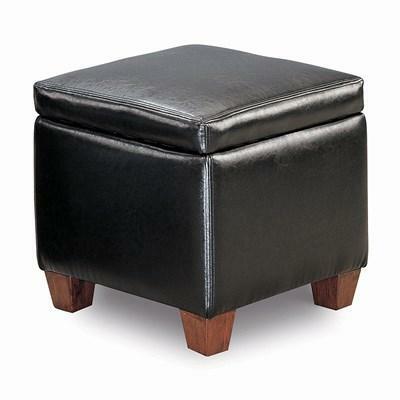 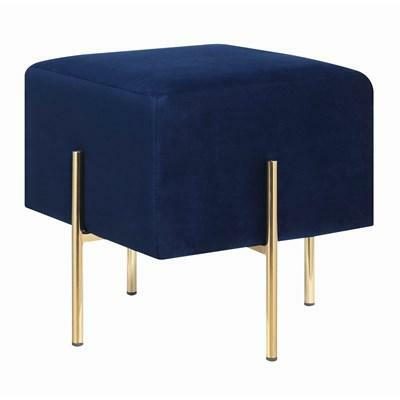 This Coaster Furniture ottoman foot stool features rich faux leather in black vinyl and in distinctive "X" stitching, a plush square cushion, and round wood feet in dark wood finish. 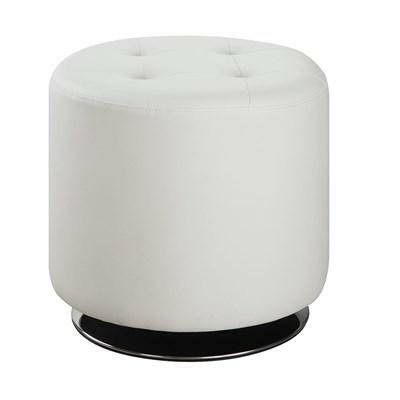 This Coaster Furniture ottoman features white leather-look upholstery, a tufted top with a chrome base and swivel mobility. 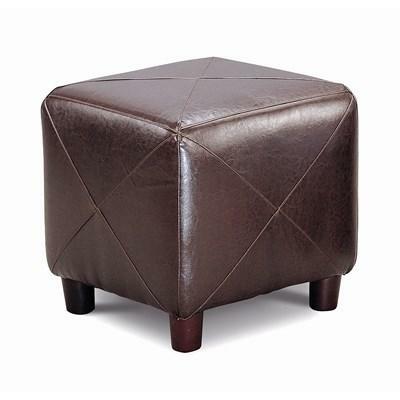 This Coaster Furniture ottoman features grey leather-look upholstery, a tufted top with a chrome base and swivel mobility. 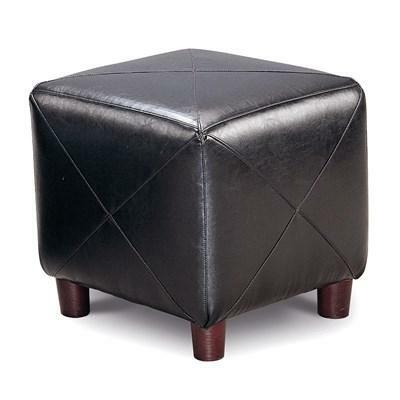 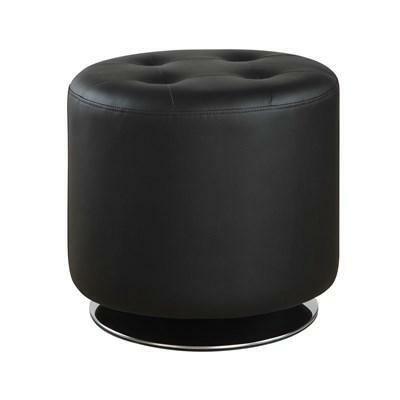 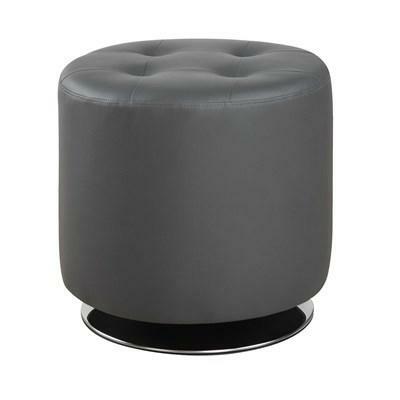 This Coaster Furniture ottoman features black leather-look upholstery, a tufted top with a chrome base and swivel mobility. 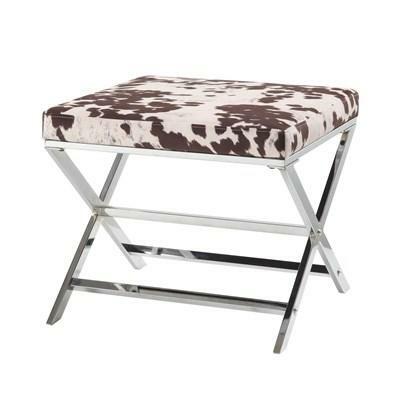 This Coaster Furniture ottoman features white and brown cow print upholstery on sleek shiny silver tone chrome metal legs.